With over 17,000 islands to explore, you might be slightly overwhelmed by Indonesia. But fear not, only 6,000 of them are inhabited and people tend to flock to five main islands. So … does anyone want to chip in and buy an uninhabited Indonesian Island with me?! Jokes aside, I was invited on a Culture and Culinary trip through Indonesia with Wonderful Indonesia, and our tour began in the capital city of Jakarta. While we spent quite a bit of our time eating, there are certainly some sites to see. Monas is located in the heart of Jakarta. Constructed in 1961, this 132m tower symbolizes the fight for freedom; it is where the first president of Indonesia declared independence from Dutch colonization. When Monas was built, it was the highest building in Jakarta at the time, and the 26 steps leading up to the monument represent the 26 provinces of Indonesia that existed when built (today there are 35). Not only is it surrounded by the main government buildings – including the presidential palace – but it’s accessible to everyone in Jakarta. You will commonly find locals exercising or hanging out in the surrounding park. 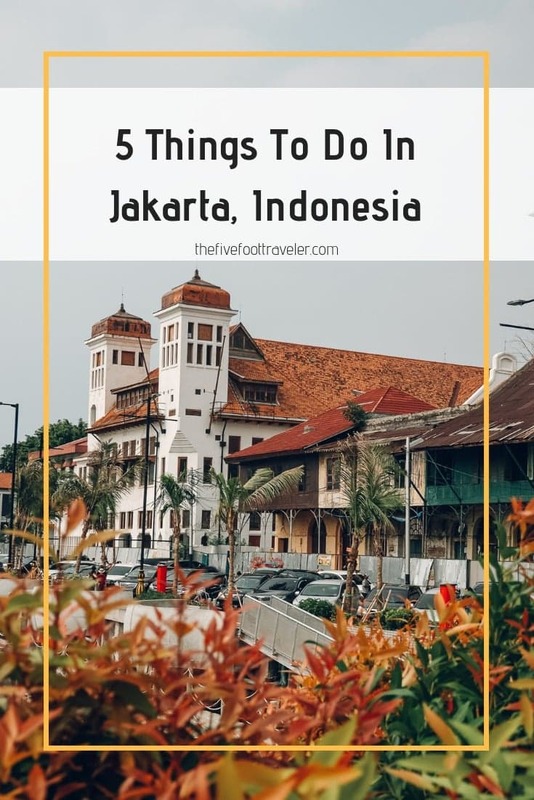 If you’re into history, you can enter the monument to visit the Indonesian National History Museum or take the elevator to the top platform for a birds-eye view of Jakarta. 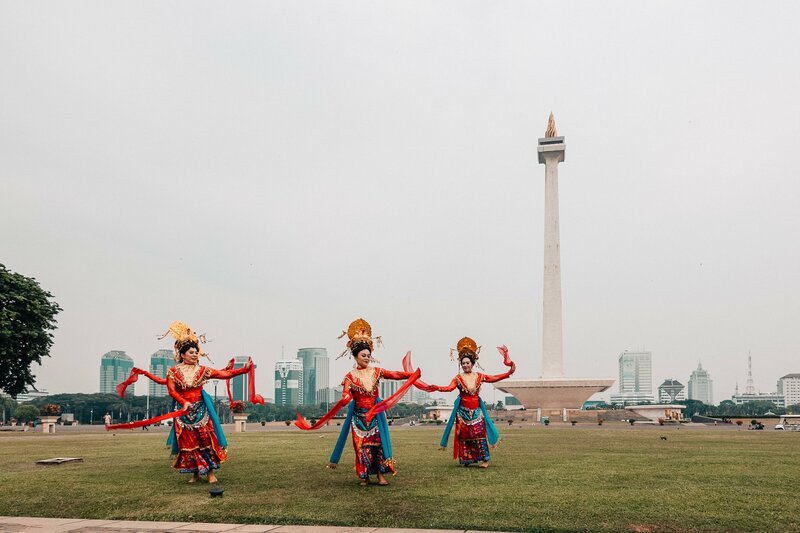 While we were there, we were lucky enough to watch a Lenong Performance aside the monument, which beautifully fused the feeling of freedom with Indonesia’s rich culture. 2. National Museum of Indonesia. 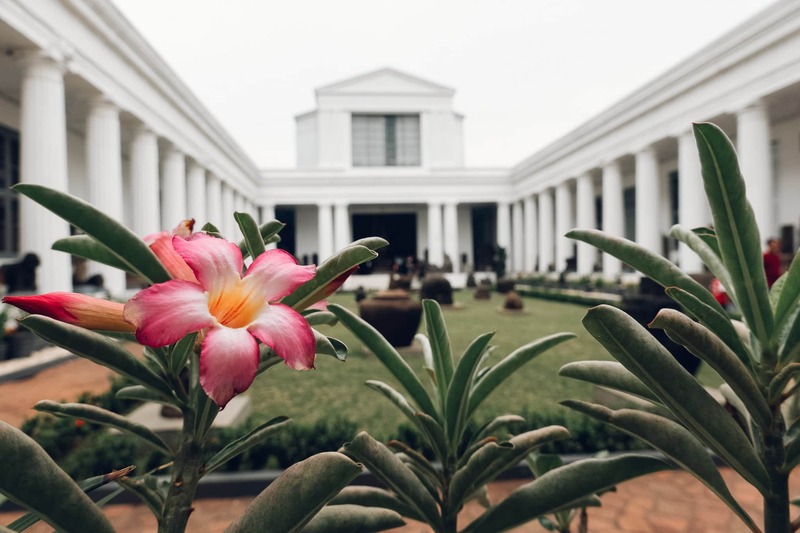 The National Museum of Indonesia is the biggest museum in South East Asia and considered the best museum in the country. It is commonly referred to as the Elephant Building as there is an elephant statue in front of the entrance (that was a gift from the King of Thailand in 1871). Nearby the elephant statue, you will find a symbolic structure that symbolizes the phases of life – feeling like you’re on top to hitting rock bottom. Within the museum itself, you will find artifacts and information spanning the history of Indonesia from prehistoric to modern times. Kota Tua is the old town of Jakarta where you can see the most Dutch influence that still remains. 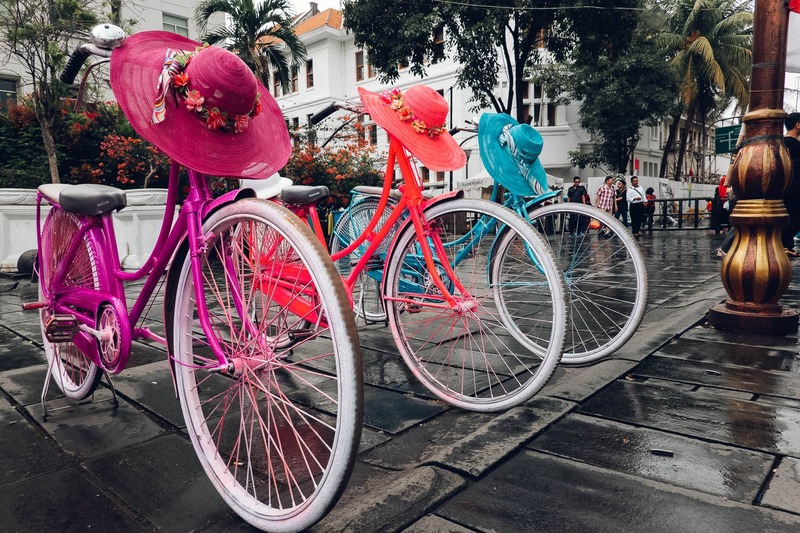 When you get to the main square, Taman Fitahiilah, you’ll see colorful bikes, locals, and many street performers. Take a stroll and enjoy the colonial buildings. 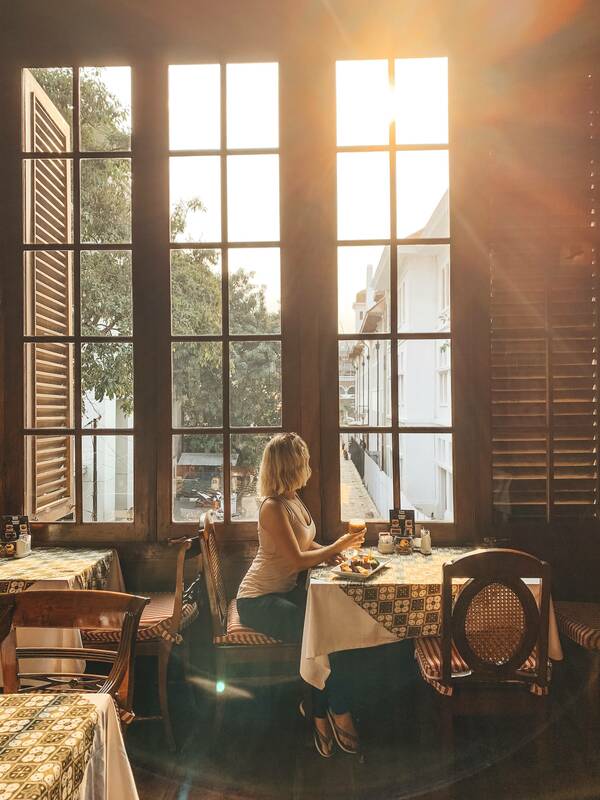 On the edge of the main square, you’ll find Café Batavia. As it was built in the 1830s, it is famous for still having the colonial structure that was commonly found in the Dutch East Indies. Café Batavia is the second oldest building in Taman Fitahillah, with the oldest building being the former City Hall. Today it’s reflective of parlors from the 1930s, with numerous vintage photos highlighting pop culture framed all over the walls. Since we are on a culture and culinary tour with Wonderful Indonesia, of course, we have done a lot of eating! Jakarta is a melting pot when it comes to food, so we ate both traditional Indonesian food as well as Asian Fusion. With an elegant lunch at Bunga Rampai and a contemporary dinner at Kaum, I must say, we certainly were never full! The food was simply spectacular and I couldn’t recommend them enough. 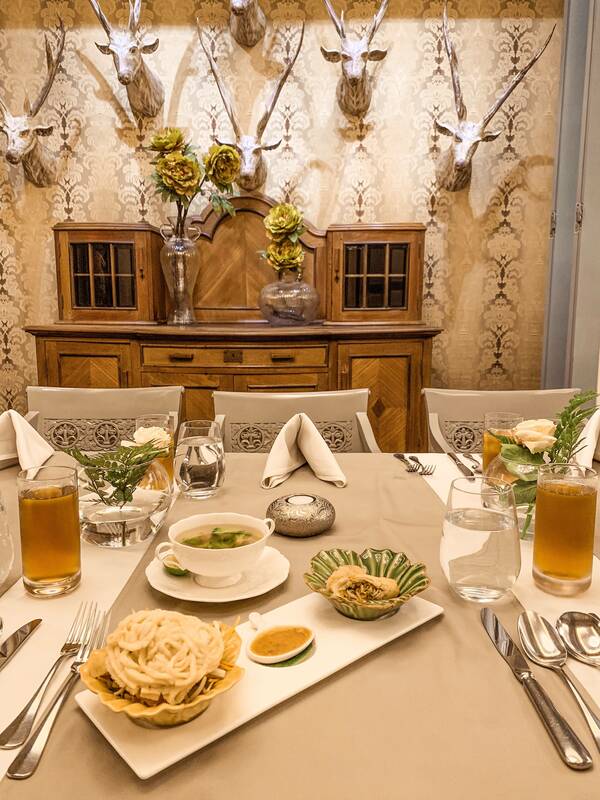 No trip to Jakarta would be complete without experiencing the culinary side of the city. 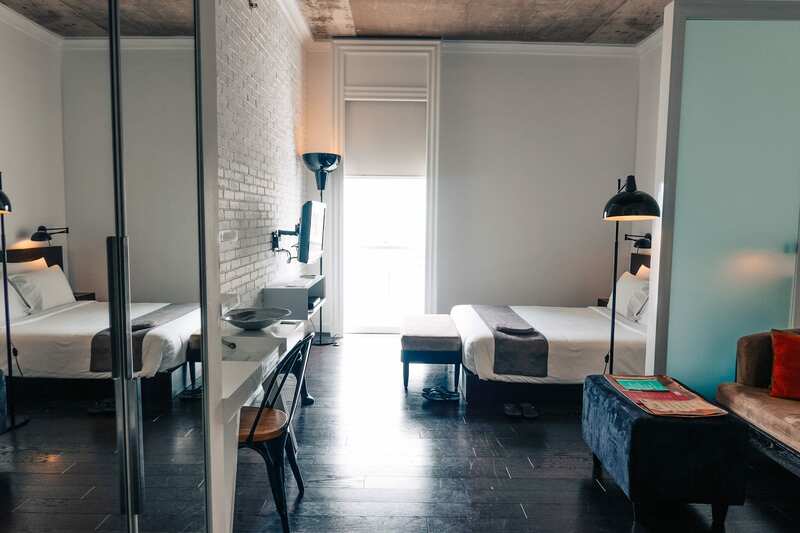 Located in central Jakarta, close to all of the above spots, you’ll find the Morrissey Hotel. It’s a comfortable, boutique hotel with spacious studio-style rooms and a beautiful view of the Jakarta skyline from both their skywalk and infinity pool. 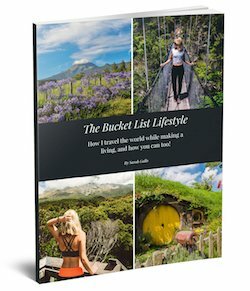 Interested in Jakarta? Pin It Please! Nice place to visit when you are at Jakarta.